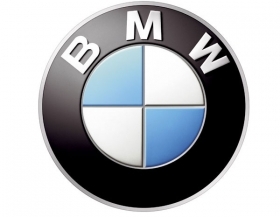 FRANKFURT (Bloomberg) -- BMW Group reported a 14 percent gain in third-quarter profit as growth in China helped offset a market downturn in Europe. Earnings before interest and taxes rose to 2 billion euros ($2.56 billion) from 1.76 billion euros a year earlier, the company said in a statement today. Sales at the group climbed 14 percent to 18.8 billion euros. "We have had a good third quarter, setting new sales volume, revenues and earnings records in the face of a challenging market environment," CEO Norbert Reithofer said in the statement. "Like the rest of the sector, we are now beginning to feel some headwind." Buoyed by growth in China, where group sales have jumped 33.3 percent in the past nine months, BMW has largely been unscathed by the sovereign-debt crisis, which is set to cause the biggest drop in European auto demand in nearly two decades this year. By contrast, Mercedes-Benz has lowered profit targets and initiated a 2 billion euro cost-cutting plan. BMW stuck to its full-year targets of beating 2011's pretax profit of 7.38 billion euros and reporting higher Ebit in its auto division. The company forecasts automotive profit margins to be at the "upper end" of a range of 8 percent to 10 percent of sales as long as the global economy doesn't deteriorate further. BMW's nearest rival in global sales, Audi, said last week that its operating profit fell to 1.3 billion euros in the third quarter from 1.4 billion a year earlier, but it still aimed to match last year's operating profit of 5.35 billion euros ($6.92 billion) in 2012. BMW Group has also said it plans to deliver more than 1.7 million cars this year, posting new sales records at its BMW, Mini and Rolls-Royce brands. The automaker's stock has climbed 25 percent this year, valuing the company at 41.3 billion euros. Ebit at BMW's carmaking division fell 9.3 percent to 1.65 billion euros. That led to a decrease of the margin to 9.6 percent of sales from 11.9 percent a year earlier. Audi reported a margin of 10.5 percent last quarter, outpacing the 6.4 percent at Mercedes. BMW has defended its sales lead over Audi this year. Lifted by demand for the 1-series compact and 3-series sedan, the manufacturer delivered 1.11 million BMW cars and sport-utility vehicles in the first nine months, compared with Audi's 1.1 million. Mercedes delivered 965,000 vehicles. Audi and Mercedes have both vowed to take the top spot from BMW by the end of the decade. To fend off its rivals, BMW will invest 200 million euros in a new assembly facility in Brazil to produce 30,000 vehicles annually. The move counters Audi's plans for a 150,000-unit plant in San Jose Chiapa, Mexico, as both carmakers target growth in Latin America. To prepare for a possible slowdown in Europe, BMW has negotiated measures with labor representatives at its German plants that will allow it to ratchet back production. The agreement lets the carmaker cancel shifts and curtail breaks if demand drops. BMW has also shifted "tens of thousands" of cars that were originally targeted for Europe to the United States and Asia this year as sales weaken in the crisis-hit region, Ian Robertson, the brand's sales chief, said last month.